One of the most famous cocktails is the Martini. Especially if you are a James bond fan then Martini is your drink. 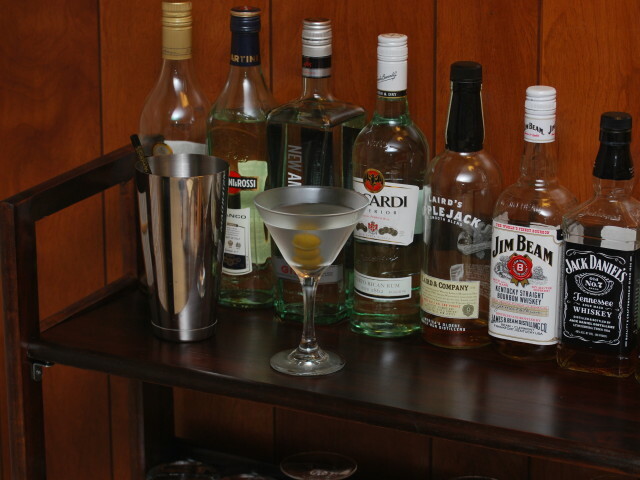 The martini is a cocktail made with gin and dry white vermouth, although substituting vodka for gin is now common. It is often described as being “crisp” or “astringent.” Over the years, the martini has become perhaps the most well-known mixed alcoholic beverage. H. L. Mencken once called the martini “the only American invention as perfect as the sonnet”,and E. B. White called it “the elixir of quietude”. It is also the proverbial drink of the one-time “three-martini lunch” of business executives, now largely abandoned as part of companies’ “fitness for duty” programs. While variations are many, a standard modern martini is a five to one ratio, made by combining approximately two and a half ounces of gin and one half ounce of dry vermouth with ice. Many Europeans, however, prefer somewhat less vermouth — about a six to one proportion of gin or vodka to vermouth. I however agree with the recipe that Alton Brown gave in his show Good Eats. Add an ounce of vermouth over ice in the shaker. The shake to coat the ice cubes with the vermouth and the pour out the rest. That is all you need. Then add 2.5 oz of Gin. And stir. Yes stir, regardless what 007 says, it is a very simple martini and shaking will make the drink fuzzy and smoky. Many bartending schools insist that a beverage shaker tends to dull the taste of the vermouth, and some argue that it sharpens the taste of gin by “bruising” the liquid. 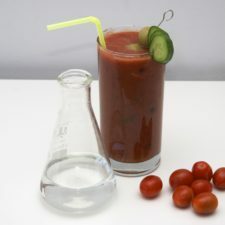 The ingredients are mixed (by stirring or shaking) then strained and served “up” (without ice) in a chilled cocktail glass, and garnished with either an olive or a twist of lemon (a strip of the peel, usually squeezed or twisted to express volatile citric oils onto the surface of the drink). A very common variation is to substitute the Gin with Vodka. This substitution is done to remove the strong Gin taste. Gin is a spirit flavoured with juniper berries. Distilled gin is made by redistilling white grain spirit which has been flavoured with juniper berries. Compound gin is made by flavouring neutral grain spirit with juniper berries without redistilling and can be considered a flavoured vodka. The most common style of gin, typically used for mixed drinks, is London dry gin. London dry gin is made by taking a neutral grain spirit (usually produced in a column still) and redistilling after the botanicals are added. In addition to juniper, it is usually made with a small amount of citrus botanicals like lemon and bitter orange peel. Other botanicals that may be used include anise, angelica root and seed, orris root, licorice root, cinnamon, coriander, and cassia bark. Personally I don ‘t like that substitution. I think that the most common reason why people ask for it is the mediocre Gin quality you can find at the bars. I personally recommend Sapphire Gin. 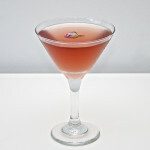 It has a mild flavor with the berries giving not only their aroma but a taste to the Gin. Dirty Martini: The recipe is just like above but some of the brine the olives are held in, is added to the mix. It is a “great” way to mask the taste of the Vermouth and the Gin. Gibson Martini: Although Charles Dana Gibson is most likely responsible for the creation of the Gibson martini (where a pickled onion serves as the garnish), the details are debated and several alternate stories exist. In one story, Gibson challenged Charley Connolly, the bartender of the Players’ Club in New York City, to improve upon the martini’s recipe, so Connolly simply substituted an onion for the olive and named the drink after the patron. Other stories involve different Gibsons, such as an apocryphal American diplomat who served in Europe during Prohibition. Although he was a teetotaller, he often had to attend receptions where cocktails were served. To avoid an awkward situation, Gibson would ask the staff to fill his martini glass with cold water and garnish it with a small onion so that he could pick it out among the gin drinks. A similar story postulates a savvy investment banker named Gibson, who would take his clients out for the proverbial three-martini business lunches. He purportedly had the bartender serve him cold water, permitting him to remain sober while his clients became intoxicated; the cocktail onion garnish served to distinguish his beverage from those of his clients. 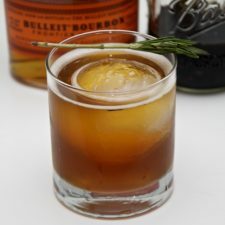 Another version of the origin story, included in The Good Man’s Weakness by Charles McCabe, states that the drink was created in San Francisco by Walter D. K. Gibson (1864-1938) at the Bohemian Club around 1900. Saketini: A relatively recent vodka martini made with sake instead of vermouth. 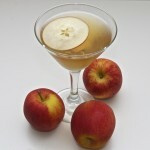 This is a relatively recent creation, but is currently popular in high-end cocktail bars. Smoky Martini: Gin with a splash of Scotch whisky, stirred and garnished with lemon peel. Other no real Martinis: The substitution of the Gin with Vodka, and the recent emerging of the flavored Vodkas with berries, cocoa, and other stuff gave birth to a great variety of different Martinis. Cosmopolitan, Green Apple, Chocolate and so on. They are good, but they are not Martinis! I like to innovate food, giving twists and flair to traditional foods but, I prefer some stuff to remain as they are. One of them is Martini. Copyright © 2013 Nerd Meets Food - Way more than just food!